Exciting news! I have made it through the tough first round of Project Food Blog and into the second. For this challenge I have been asked to make a classic dish from another culture, and as I am living in the midst of a culture about as different from my own as it is possible to be, I have decided to make the classic and beloved Shanghai dumpling - xiǎolóngbāo. 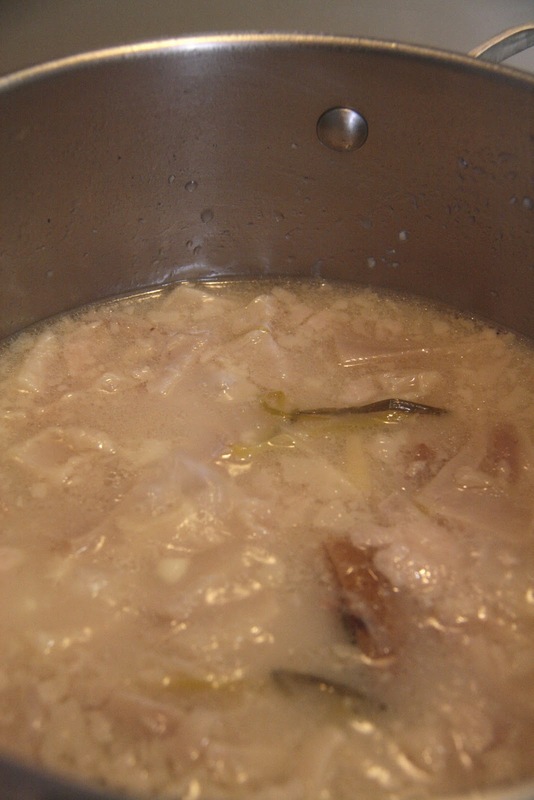 made possible only by the melting of the jelly during steaming. 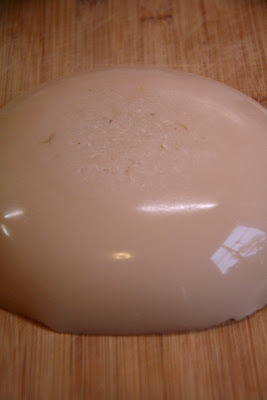 When I first learnt that the jelly is made from slow-cooked pig skin I have to admit I was pretty repulsed. But they taste so good, and so in the interests of good food I have managed to overcome my repulsion and consume about 500 of the beauties. Here's how to make the jelly. 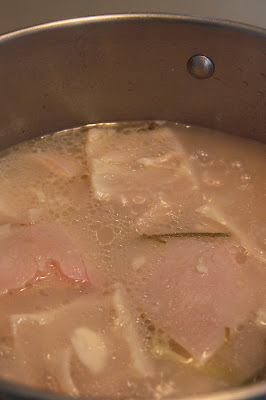 The next post (my official entry) will tell you how to make the dumplings themselves. 1. 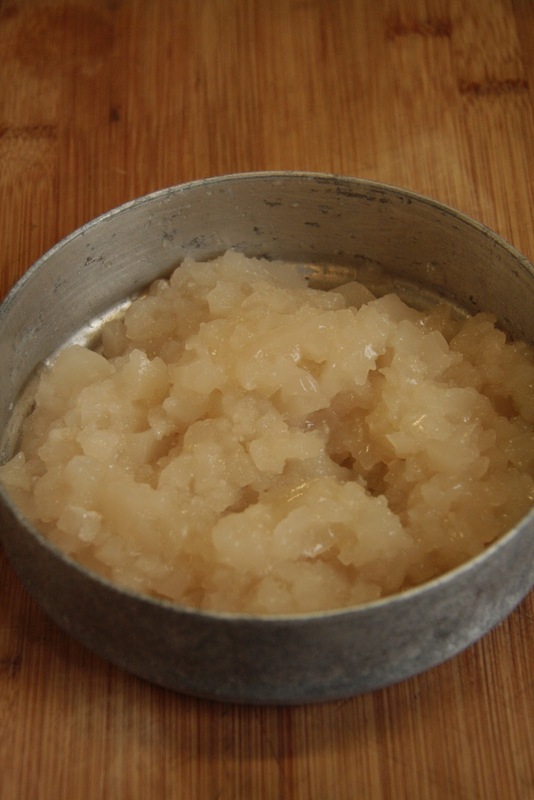 Blanch the skin to remove any impurities. Bring a big pot of water to the boil and add the pork skin. When the water returns to the boil, remove the skin and blanch in cold water. Scrape any hair off the skin with a sharp blade. 2. Cut the skin into 3cm squares. Remove excess fat. 3. 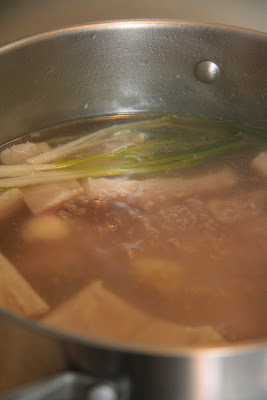 Combine the 8 cups of water, pork skin, and all the remaining ingredients in a stock pot. Bring to the boil. 4. Cook covered for 6-7 hours at a simmer until all the pig skin is dissolved. If the water level drops, top up with boiling water from time to time. When ready, you should have an opaque, milky liquid with scant small pieces of undissolved skin. 5. Strain and reserve the liquid. Refrigerate overnight. 6. 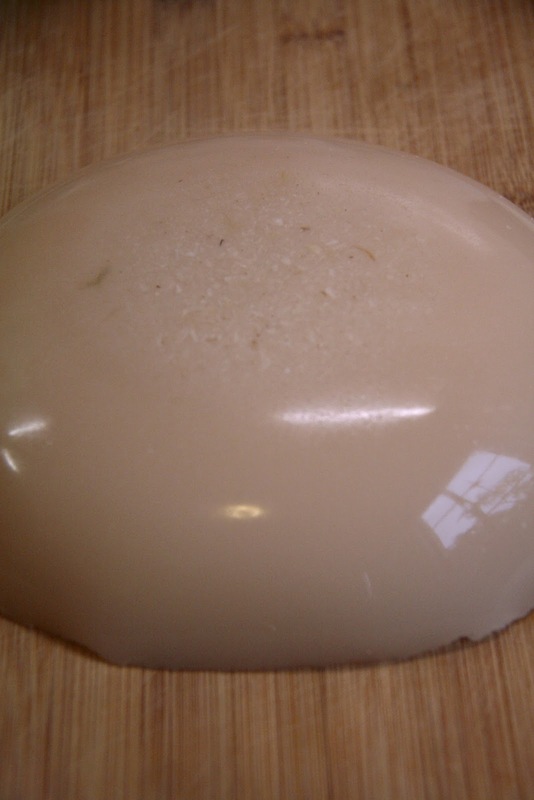 When jelly is set, remove any solidified fat from the top. Chop into fine dice. Can be stored frozen for up to three months.